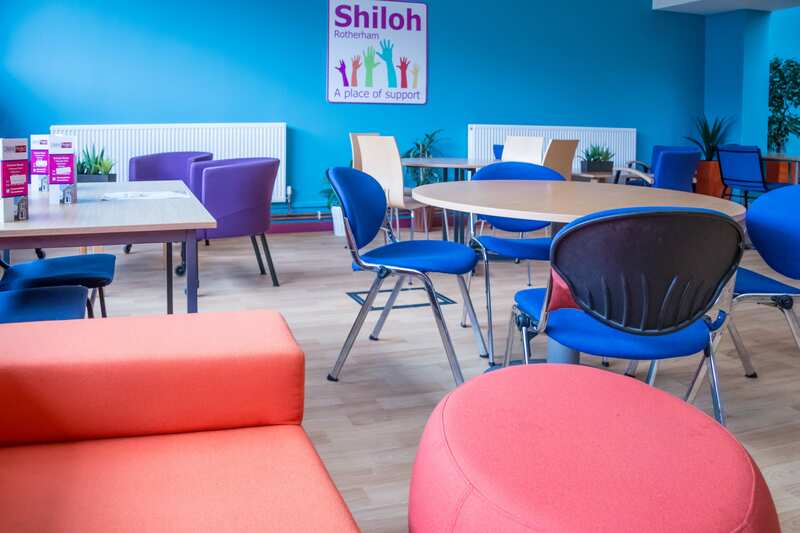 Inspirational, vibrant, energetic, caring, safe haven….these words might not be ones that you would normally associate with what you believe a homeless centre to be, but Shiloh does appear to rather break the mould of what other homeless services provide. Perhaps like most of the public, I’d never visited any homeless centres before, not until I was invited to see the Shiloh project in March 2017. Until then, the extent of my experience had been occasionally seeing homeless people on the streets begging for small change and trying to keep warm. I confess, I made assumptions about them, avoided eye contact with them, would cross the road to avoid them, would consider that perhaps they had done something wrong in their lives and perhaps didn’t deserve better and, I’m ashamed to say, not give them any further thought. 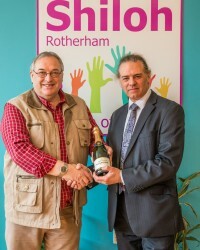 Just a couple of hours spent in the company of John McDonnell, the Volunteer Project Manager at the Shiloh Project, a centre for the homeless based in Rotherham, gave me quite a different perspective which I would like to share with you. John (pictured left), who has worked at Shiloh for just over 5 years, explained that the centre is currently open 3 days each week and, on any of those days, the centre can expect to welcome 60-65 people who require the centre’s help. 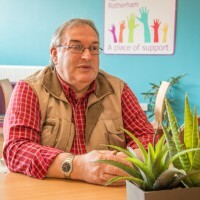 A particularly powerful statistic which emphasises the sheer scale of the homeless problem in Rotherham is that each month the centre welcomes on average 50 new registrations. Although this figure is concerningly high for a town with a population of 250k (2011 census), John is proud of the fact that by engaging with these individuals at an early stage the Shiloh volunteers can help them tackle their difficulties quickly and help them get back on the road to a safe and stable situation with an average length of presentation to the service of approximately 5 months. In the Project’s experience, there are many reasons for people to find themselves homeless and it’s not just the obvious one of addiction issues that our media tends to focus on. Other elements of their problems such as health (physical and mental), debt, bereavement and job loss also feature regularly as contributory factors. Testament to the success of the Shiloh Project is that most users of the service only use their support on a short-term basis and longer term users of the service are proportionately very small and are usually down to more deep routed problems such as educational issues. To achieve someone’s full potential there are several needs that are required to be met – and in a certain order. As the bottom of the diagram shows, physiological needs of food, water, clothing, warmth and somewhere to rest and sleep are the essentials which need to be in place before other needs can be tackled. Compounded into this level is the stress and mental health issues including depression, low self-esteem and anxiety that often accompany someone who is struggling to even put these basics in place. 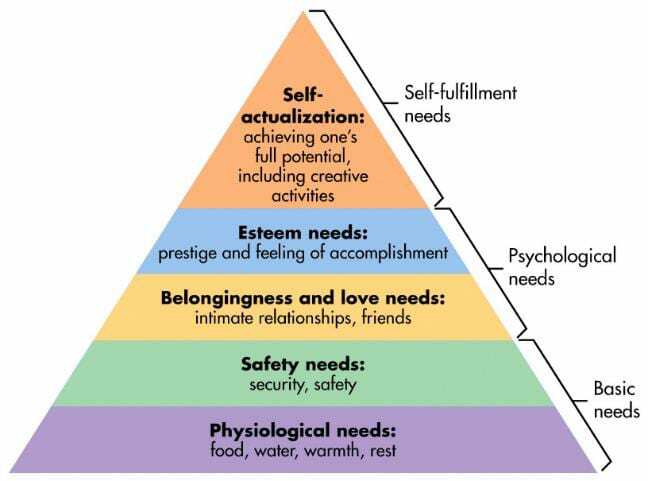 Only when this foundation level of needs are met can an individual devote time and energy to needs higher up the ‘Hierarchy’ – pride, building higher self-esteem and motivation. Following this is a sense of belonging, purpose, confidence and relationships (friends and/or family) and achievements. Then, and only then, can the top level of maximising one’s full potential, including a job, can be realised. When a person first presents to Shiloh, the volunteers (comprising currently of 7 key workers and 8 kitchen staff – all of whom are volunteers) implement an individual support pathway based on the Maslow’s Hierarchy of Needs. This starts with immediate physiological elp with the essentials of course start with a hot nutritious meal. 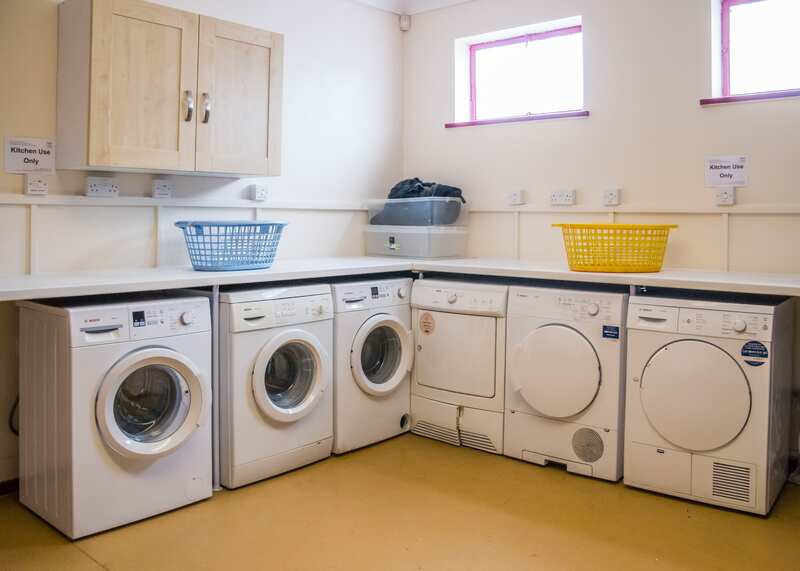 The new building that Shiloh now occupies has been fitted out to also including showers and washing facilities, a laundry and access to a large stock of donated seasonal appropriate clothing. 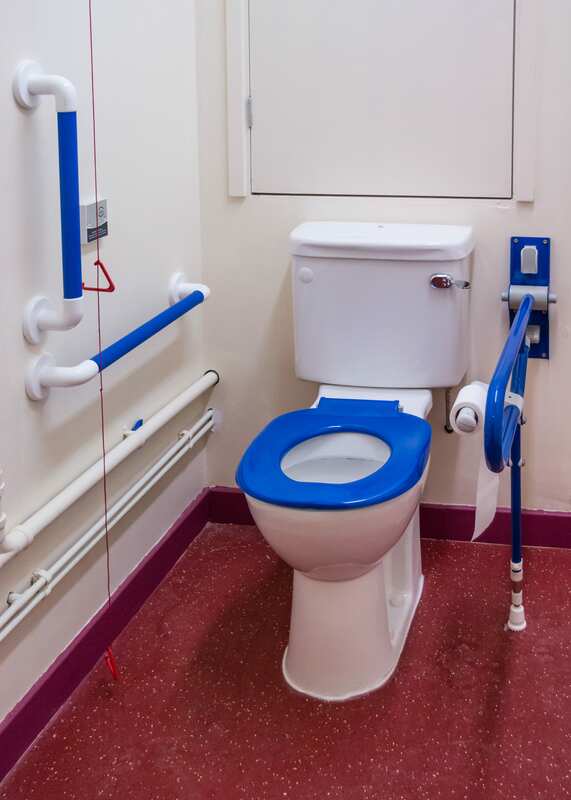 AKW were delighted to donate 2 electric showers and sanitaryware to the Shiloh Project. These showers are appropriate for this setting due to them having easy to use controls. 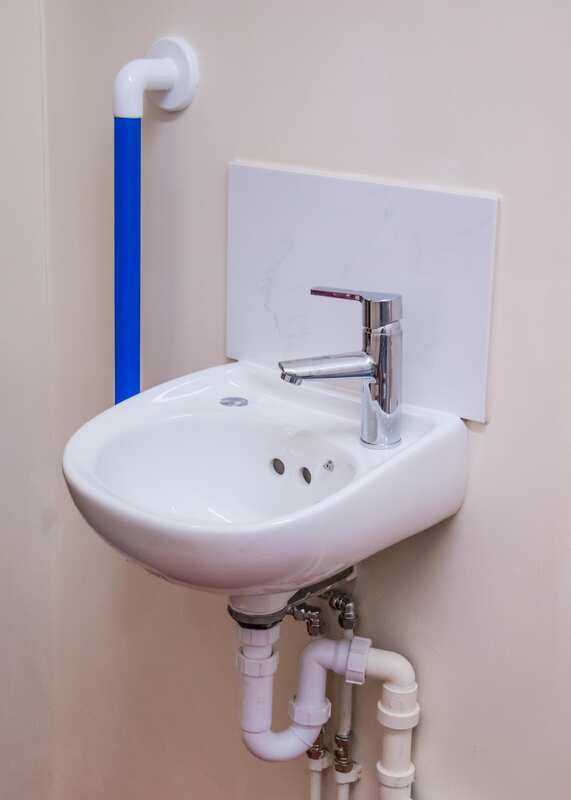 These controls are grouped together and designed with raised symbols, illuminated and audible features so the showers are very easy to use for those with any visual, hearing or dexterity impairments. In addition, the riser rail doubles up as a grab rail for those who are unsteady on their feet and the easy to use shower head has 3 different spray settings. 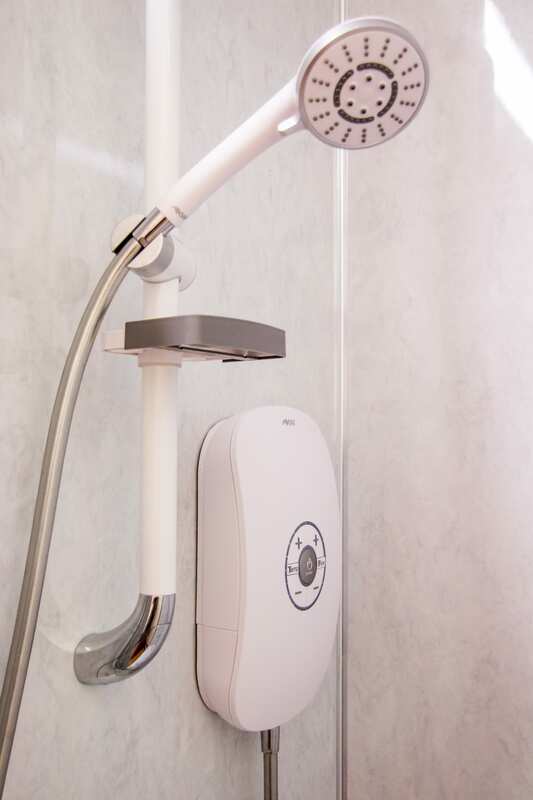 The showers can also be temperature controlled to avoid scalding and can also be set to controlled and monitored remotely via an app which can monitor how long the shower is used and shut it down after a certain period of time if required. 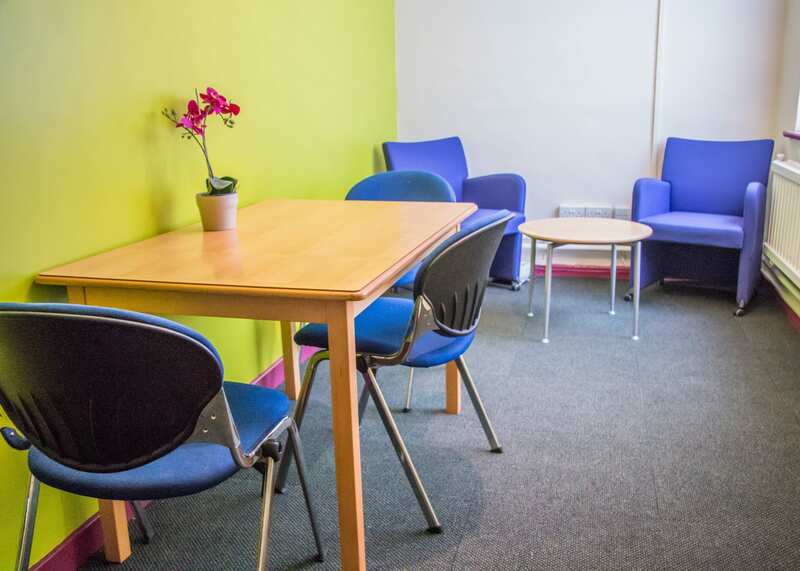 Shiloh also prioritise arranging accommodation for everyone who uses the service and are usually able to arrange some sort of accommodation even if it is an emergency temporary hostel, refuge or Local Authority housing. So, in fact, very few of those attending Shiloh are actually homeless in the ultimate definition of the word, albeit only short term solutions until more permanent accommodation is arranged. 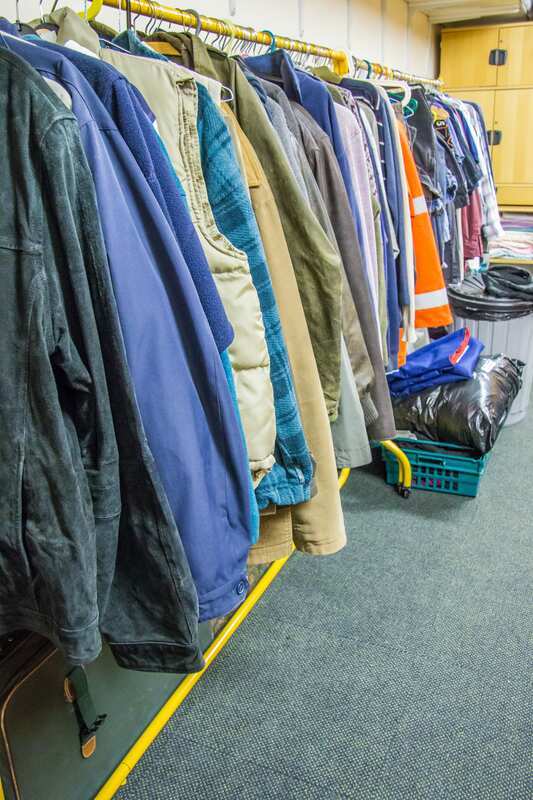 The volunteers adopt a ‘motivation key working’ relationships with Shiloh’s guests straight away and provide the sense that someone does care, genuinely wants to help. The approach is to see the individuals as people with problems, rather than seeing them as ‘problem people’. At an early stage of a guest first presenting at the centre, Shiloh develops a sense of belonging and a purpose which also makes a start on the next stage of Maslow’s Hierachy of Needs….Psychological. A consistent message through the services offered by Shiloh is that their guests lives and outcomes are valued and important. This strong psychological message helps build the guests’ self-worth at a time when their mental health may be suffering (even if that wasn’t the original cause of their situation) and will help give them the hope and motivation to see that live is worth living and to see the opportunities that are available to them. One of the main techniques the Shiloh volunteers adopt is a confidential ‘Smart Listening’ approach. The volunteers are trained in techniques which, rather than simply giving scripted advice and telling guests what they should do, verbal clues are picked up on by the volunteer key workers to help suggest various support signposting or help the individual on a 1:1 basis look at the positive steps they themselves can do to take back control in tackling their issues. This empowerment, in turn builds self-esteem, motivation, lifts mood and reduces anxiety, anger, frustration, etc. One interesting fact about the dedicated team of volunteers at Shiloh, is that many of them will be speaking and supporting guests from their own experience. Many have became involved in the project through being on the receiving end of the help Shiloh offers. John told me that there are in fact many agencies available to the homeless. What is more of a problem, however, was finding ways the homeless can gain access to that help without a technology such as phone and email or even the basic conversation communication skills. If the person doesn’t even have a watch, how would they know what time it was to attend an appointment on time)? On establishing the needs, the Shiloh’s key workers may often offer to attend appointments with their guests to help represent them if necessary. 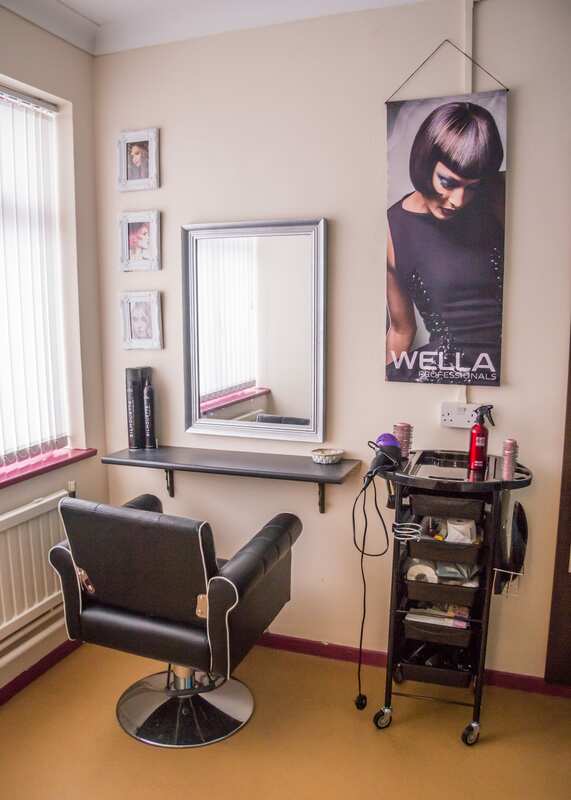 The project has also been known to help guests with job applications and interviews to the extent of helping with appropriate work/office attire and even a hair cut at the onsite mini hair salon! The Shiloh Project truly helps people get back on their feet. The physical environment at Shiloh also has a big influence on reinforcing the message on how important the guests are. The building is not what you would normally associate with a homeless support service. The plain 60s red brick exterior of centre’s new base, which had been disused for 5 years and which was previously a weighbridge (you can still see the metal lates of the weighbridge in the car park) gives no clues to the contrast to the building’s interior design. This isn’t just basic four walls. The vibrant interior of the building is testament to the hard work and dedication of the project team which involved representatives from not only Shiloh, but also Rotherham Council and main contractors – Mears and Fortem. 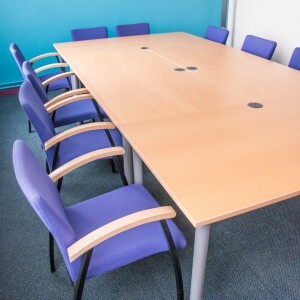 The colourful and airy décor does not feel the slightest bit ‘institutionalised’ with the colours being inspired by the Shiloh logo which are continued right throughout the building including meeting rooms and break-out areas. There is a real sense that this space is designed to inspire, energise and drive hope and positivity. 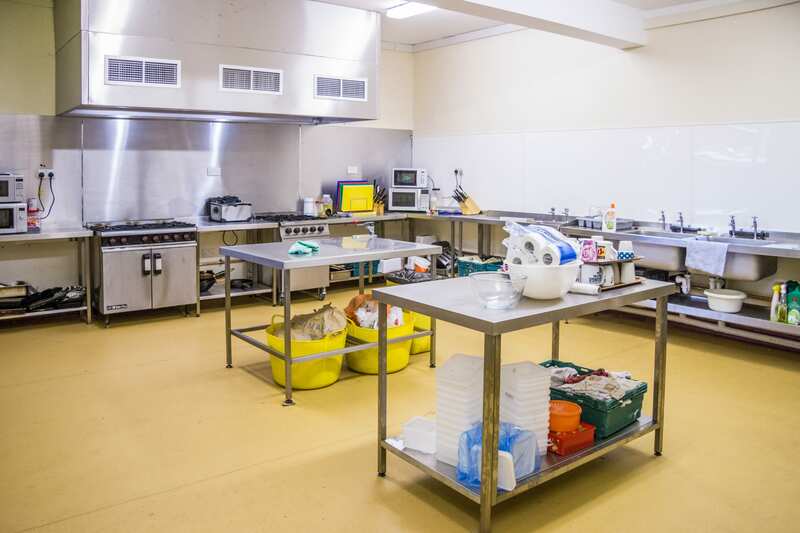 A common question from the users of Shiloh is, ‘Is this centre really for us?’ The realisation that this organisation has taken the time and trouble to develop this service specifically for them, as base from where volunteers genuinely offer help and support their guests, is a really powerful one. And still Shiloh offer more. To further develop self-esteem and achievement, the volunteers offer counselling, courses and sessions which give practical support and increase the potential for the individuals to move forward such as help with literacy, numeracy, cooking, etc. Individuals at the bottom of the needs hierarchy chart devote so much time to simply surviving which is extremely stressful and draining of energy and time, there is no time to reflect, relax or plan for the future because the individuals are simply living their lives minute by minute. The Shiloh Project therefore also offers time for guests to have a break from that lifestyle, an opportunity to relax and have fun – something that they may have not experienced for some time. Art sessions are given a high priority at Shiloh which may be a surprise to many people and wonder what possible benefit these sorts of activities could have. Many of Shiloh’s guests, particularly those with mental health or educational issues, may find communicating in normal styles quite intimidating. Volunteers work with the guests in the more relaxed surroundings of an art session and an opportunity to communicate in a more relaxed and less-formal style with the volunteers and in general conversation, further utilising their ‘smart listening’ techniques. So when the Shiloh Project began 25 years ago it was simply as a soup kitchen. As time went on, the Project volunteers realised this was only a sticking plaster of the root causes of the homeless problem and for the past 5 years, led by John McDonnell, the service now actively helps the individuals change their circumstances for the better. 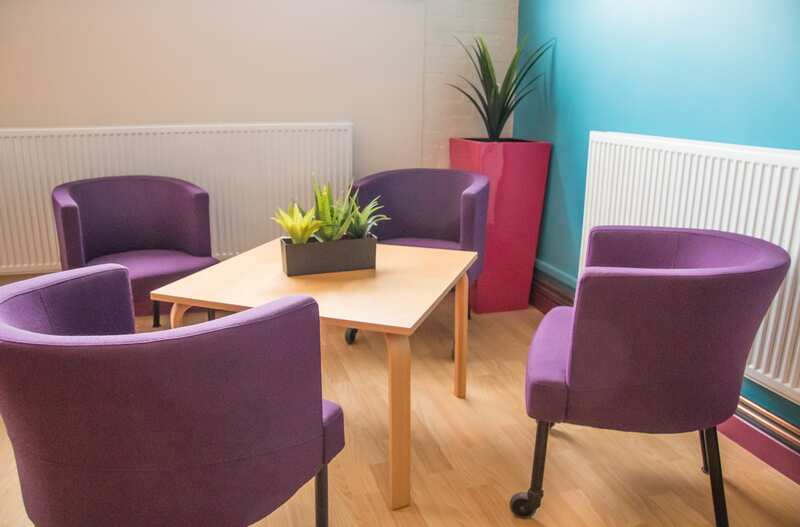 Shiloh’s approach to the people that present at the centre is based on the fundamentals of respect, support and care. They don’t blame or judge the people for the situation they find themselves in. There is a fundamental respect of the person who has problems rather than the way society often treats them as ‘problem people’. AKW have been delighted to have been part of this project in helping Shiloh establish themselves in their new premises. At the end of the year, John will shortly be stepping down as Project Manager at Shiloh but will – continue to remain involved as Chairman.